Drake seem falling out from the tree of Grammy's. 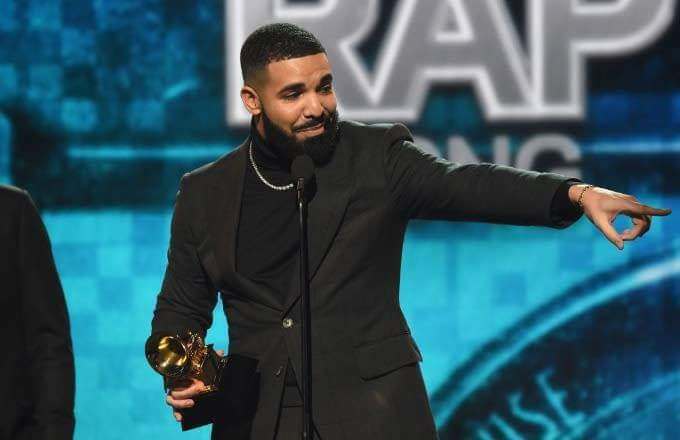 Amahiphop has acknowledged some plight which the God's Plan rapper has been facing starting from the earlier 2019 Grammy Awards which is about hours long but you can still read the full list of this event here. Grammy's just roll out the juggernaut awards yet it clap negatively to Drake may be you should think about proceeding below. Following our intimate publishing medias, Drake has verbally diss Grammy after winning Best Rap Song and it wasn't funny with the rapper and he is saying nothing nice about the current developing story. For the fact we have peek on Drake synopsis which was shared online where the rapper said, ''We play an opinion based sport, not a factual based sport...you already won if you have people singing your songs words for word, if they're singing in your hometown. You're already winning, you don't need this here.'' Drake said.